At Sister Pie, Lisa Ludwinski and her band of sister bakers are helping make Detroit sweeter one slice at a time from a little corner pie shop in a former beauty salon on the city's east side. 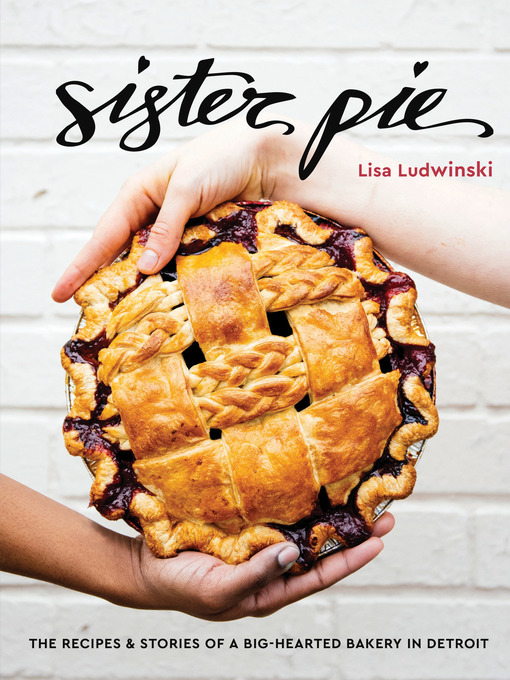 The granddaughter of two Detroit natives, Ludwinski spends her days singing, dancing, and serving up a brand of pie love that has charmed critics and drawn the curious from far and wide. No one leaves without a slice—those who don't have money in their pockets can simply cash in a prepaid slice from the "pie it forward" clothesline strung across the window. With 75 of her most-loved recipes for sweet and savory pies—such as Toasted Marshmallow-Butterscotch Pie and Sour Cherry-Bourbon Pie—and other bakeshop favorites, the Sister Pie cookbook pays homage to Motor City ingenuity and all-American spirit. Illustrated throughout with 75 drool-worthy photos and Ludwinski's charming line illustrations, and infused with her plucky, punny style, bakers and bakery lovers won't be able to resist this book.